She needn’t have feared. 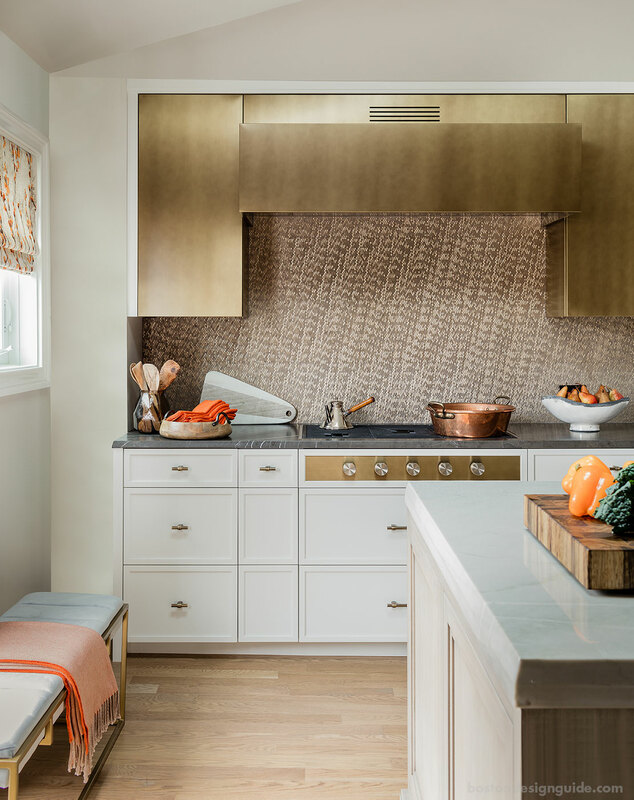 Her kitchen, which spills out to a patio where she grills (a lot! ), is warm and dazzling. 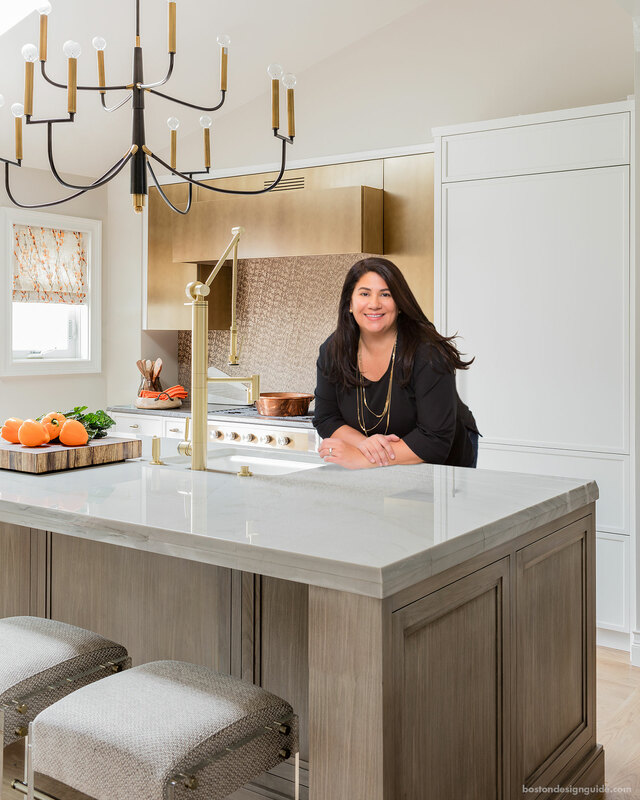 If money were no object, Venegas “would have done the whole kitchen in metal,” she says. 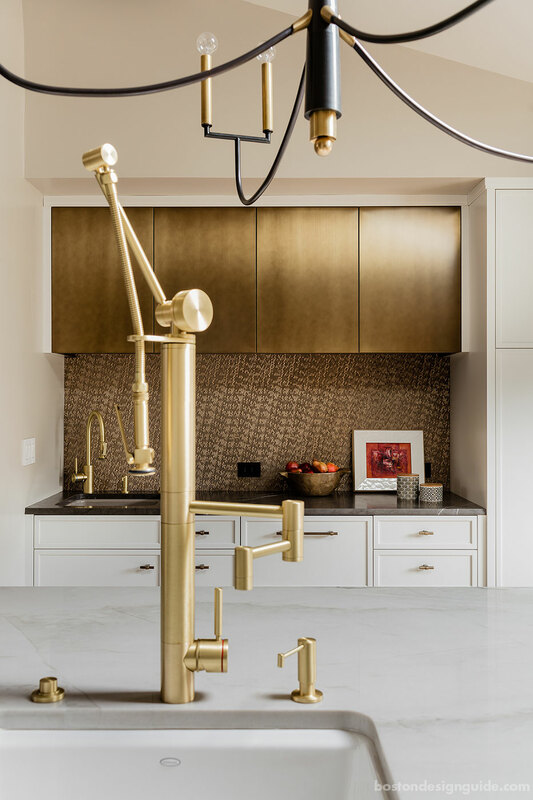 Instead, she did the next best thing: solid brass striae cabinet fronts against a shimmering Ann Sacks ceramic backsplash, and a Sub-Zero Wolf range recessed into the counter and clad in a brass face. Venegas designed this supplementary area for her husband. His favorite snacks, recyclables and the dog's food and supplies are stowed here. The bar area has all of the makings for a top-shelf cocktail hour. 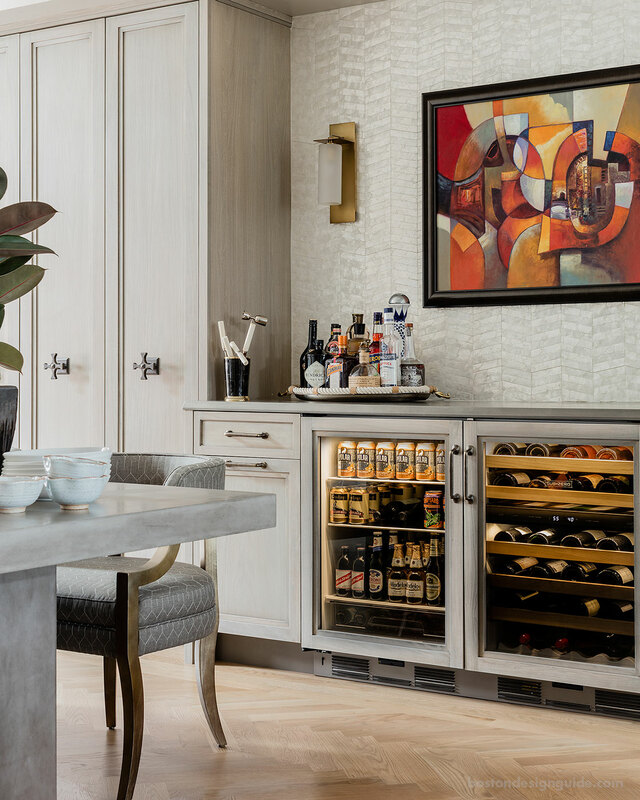 Glassware and barware are housed to the left, as is a cabinet that contains custom storage for Venegas' silverware, which was passed down to her by her grandmother.